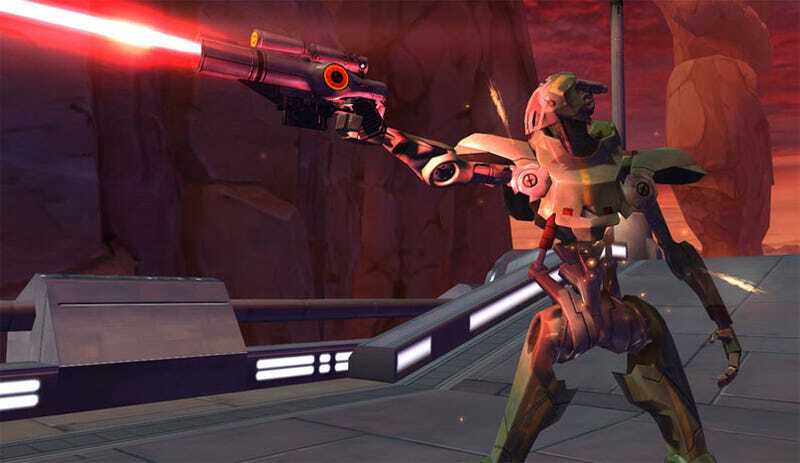 BioWare have passed along some new media for upcoming MMO Star Wars: The Old Republic. Gleeful detractors will be sad to learn there are no giant lightsabers. No, the theme for the day is buildings, robots and weapons, with a weird AT-AT thing thrown in for good measure.